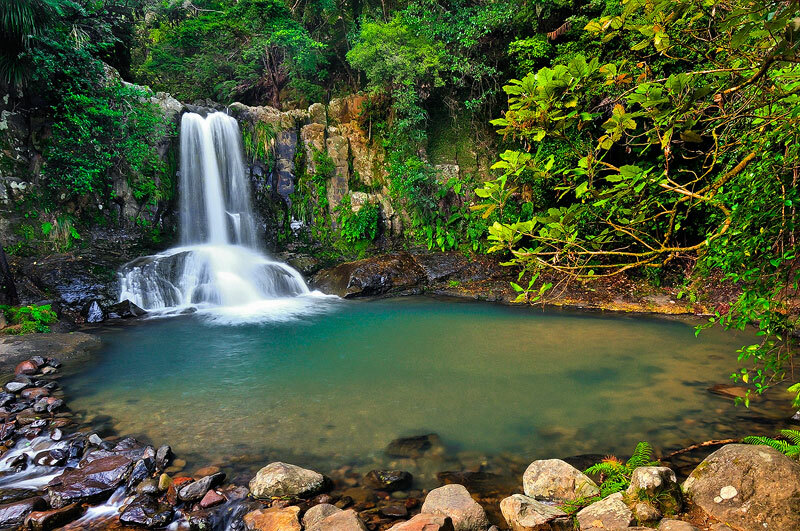 A small waterfall cascades over rocks into this small pool | Waiau Falls, Near Auckland, New Zealand. Waiau Falls, Near Auckland, New Zealand. It's a short hike to the small, but very beautiful Waiau Falls.